The Federal Government has said whatever weapons that were procured by the Jonathan Administration for the military to prosecute the war against terrorism were substandard and could not have been responsible for the string of successes recorded by the military in recent times. In a statement issued in Abeokuta on Monday, the Minister of Information and Culture, Alhaji Lai Mohammed, described as unfortunate and unsubstantiated the statement credited to former President Goodluck Jonathan attributing the recent successes in the war to the weapons allegedly bought by his Administration that were delivered after he had left office. He said the present Administration owes it a duty to put the record straight, especially because the issues raised by the former President are of public interest and borders on national security. ”The weapons, munitions and equipment which the former President said he bought were refurbished and lacked the basic components and spare parts. Additionally, the ammunition bought for both high calibre and small weapons have mostly expired, incompatible with weapons and grossly inadequate. ”It is pertinent to state that the ammunition he was referring to were back loaded because they explode within the barrel when fired, thus leading to deaths and injuries among soldiers,” Alhaji Mohammed said. ”The situation was so pathetic that soldiers were often transported in Civilian JTF vehicles, civilian vehicles, trailers and water tankers when going to the theatres of operation. The revelations on the sorry state of things in the past, which have emanated from the investigative panel so far, point clearly to the kind of legacy bequeathed to this administration by the past government. 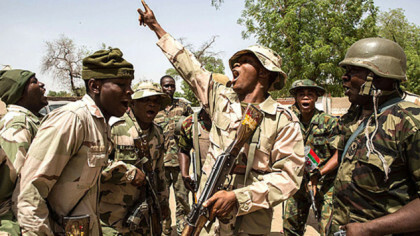 ”That explains why troops remained largely static and were unable to effectively deploy to completely rout the Boko Haram terrorists in all their known enclaves. The high level of casualties sustained by our gallant soldiers was most unprecedented and cannot be compared to any known military operations in recent times, all because of the terrible state of affairs suffered by the military under the Jonathan Administration,” the Minister said. He said apparently because former President Jonathan could not understand how credible and dedicated leadership could impact positively on the morale and performance of troops, he has chosen to denigrate the system for the unprecedented feat that was achieved within the first six months of the Buhari Administration – something that he could not achieve in all of six years! ”It is also clear, as has been shown so far by the outcome of the panel probing past arms deals, that the purchase of substandard weapons apparently resulted from the massive corruption that enveloped the deals, the kind of horrifying graft that saw the purchase of refurbished choppers that lacked rotors, or fighter jets that could not be deployed to the theatre of war because they were not up to par. ”The needless loss of lives of many of our gallant troops, resulting from the lack of standard weaponry and low morale in the past, is not a matter to be trivialized under any circumstance,” the Minister said.